Rotora® introduces the latest version of Carbon-Ceramic Brake System (RCCBS), using an all-new innovative continuous fiber construction technique to ensure a significant reduction in rotational mass and uncompromised fade-free performance under all extreme driving conditions. With an improved Carbon Fiber Reinforced Silicon Carbide (C/SiC) formulation, Rotora®’s new innovative material further decreases thermal expansion, increases resistance to wear and operating life of the discs to many times that of conventional equivalents. RCCBS is designed exclusively for production-based vehicles including Audi, Bentley, BMW, Ferrari, Jaguar, Lamborghini, Range Rover, Maserati, Mercedes-Benz, Nissan GT-R, Porsche, and many more to come. 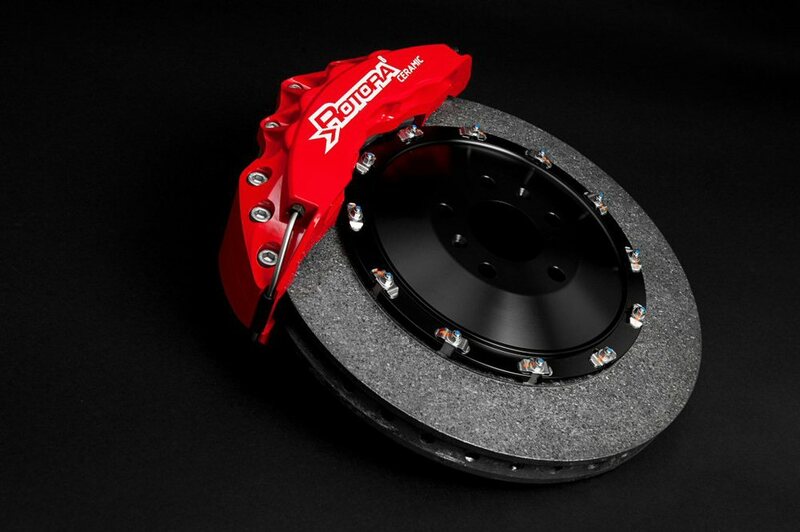 Rotora®’s latest exotic brake system is composed with 2, 4, 6, or 8-piston lightweight-forged caliper configurations. 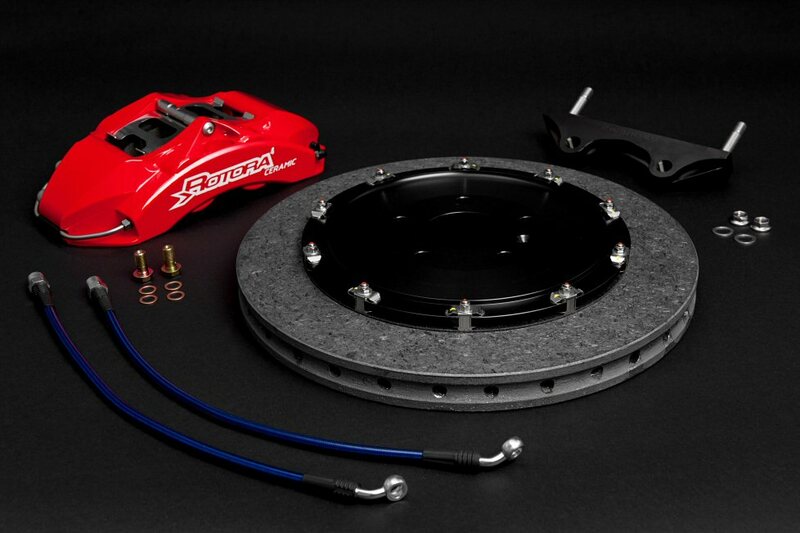 Carbon-Ceramic disc sizes include 355mm (14”), 380mm (15”), or 405mm (16”) versions.